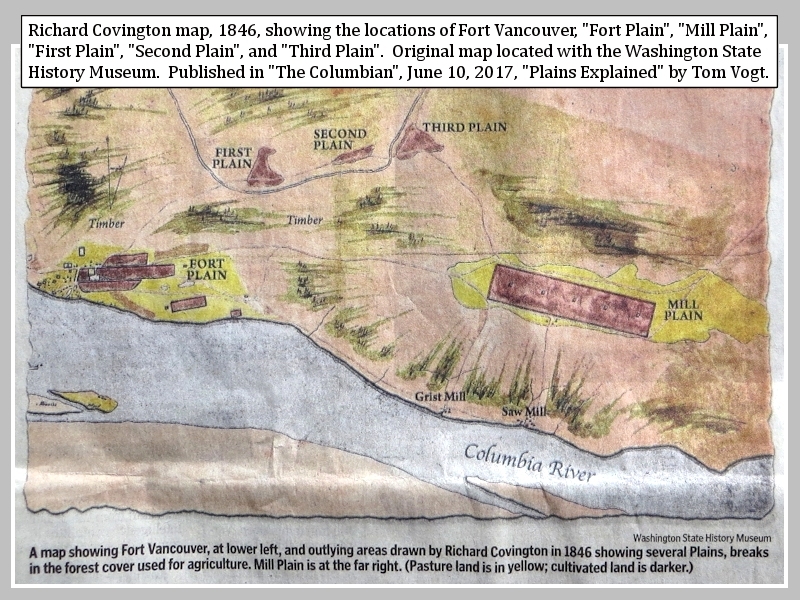 Click image to enlarge "Covington Map", 1846, Fort Vancouver, Washington. Richard Covington, 1846, Fort Vancouver and "Fort Plain", "Mill Plain", "First Plain", "Second Plain", and "Third Plain". Original with the Washington State History Museum, printed in "The Columbian", June 10, 2017, "Plains Explained" by Tom Vogt. The Vancouver and Orchards Geologic Map Quadrangle (O'Connor, et.al., 2016), the Camas Quadrangle Geologic Map (Evarts and O'Connor, 2008) and the Washougal Quadrangle Geologic Map (Evarts, et.al., 2013) describe the composition and depth of the Missoula flood gravel deposits. 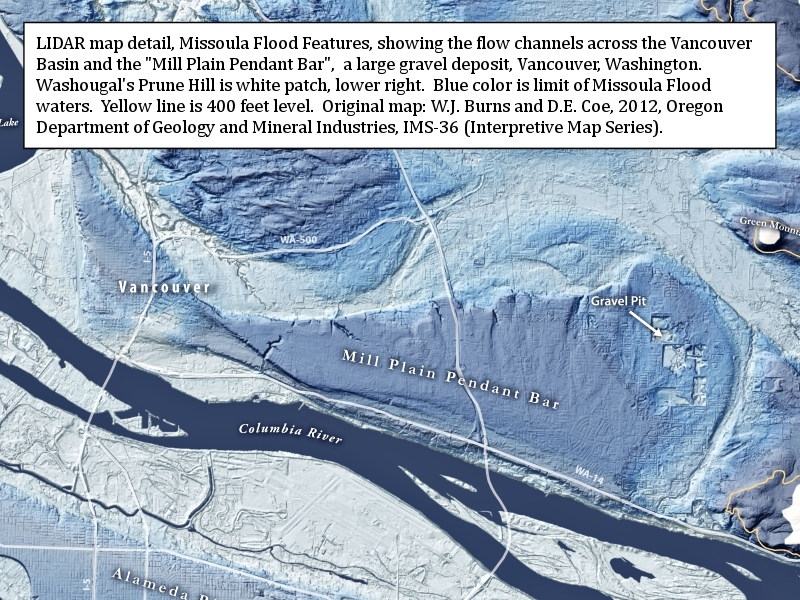 Click image to enlarge Missoula Floods "Mill Plain Pendant Bar", as shown by LIDAR imagery. Original map: W.J. Burns and D.E. Coe, 2012, Oregon Department of Geology and Mineral Industries, IMS-36 (Interpretive Map Series). Click image to enlarge View of Mill Plain Road looking east, Vancouver, Washington. 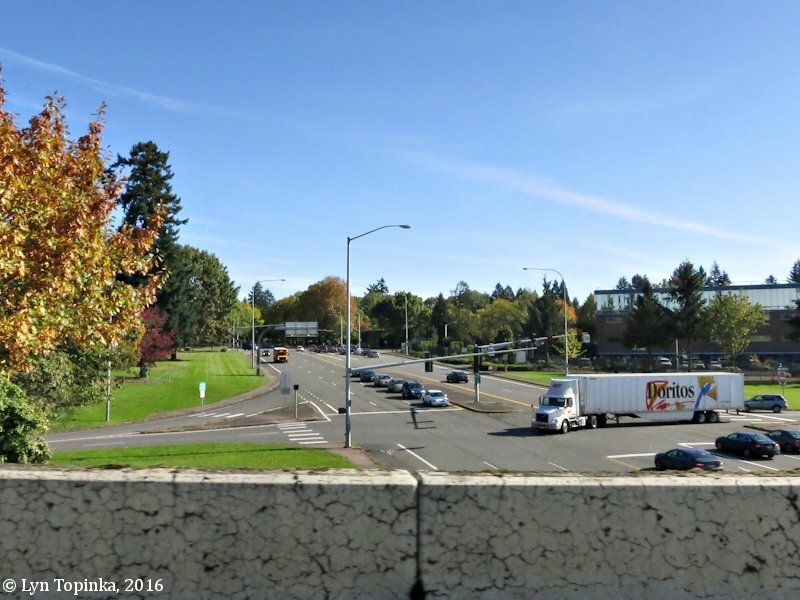 View from inside moving car on the Interstate 5 exit. Image taken August 12, 2016. Click image to enlarge Mill Plain Road, heading east, Vancouver, Washington. View from inside moving car. Image taken August 9, 2015. 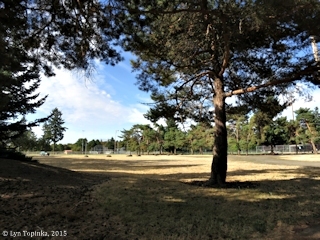 Click image to enlarge David Douglas Park, Vancouver, Washington. 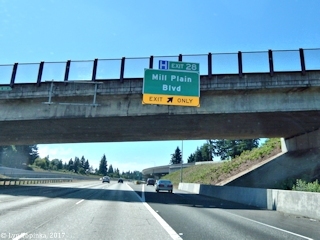 West end of the "Mill Plain". 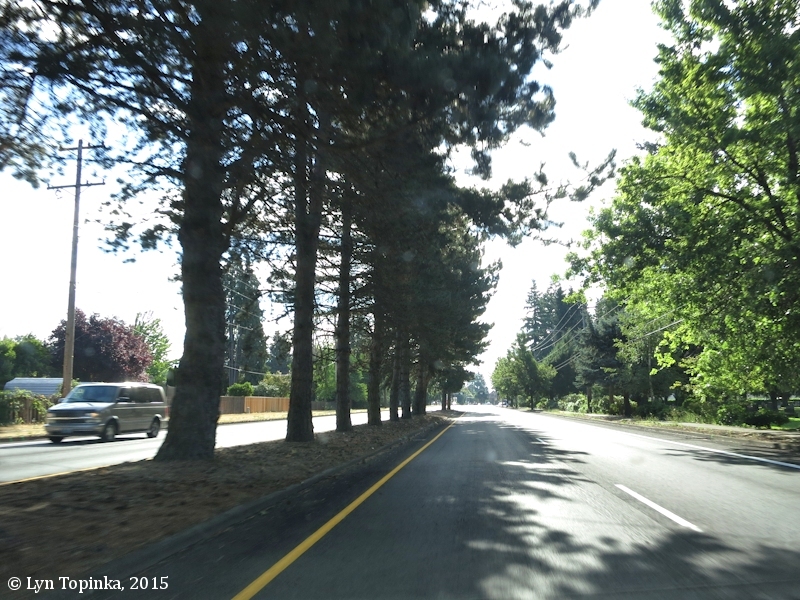 Image taken August 9, 2015. Click image to enlarge Mill Plain exit off of Interstate 205, Vancouver, Washington. Heading south. Image taken July 4, 2017. 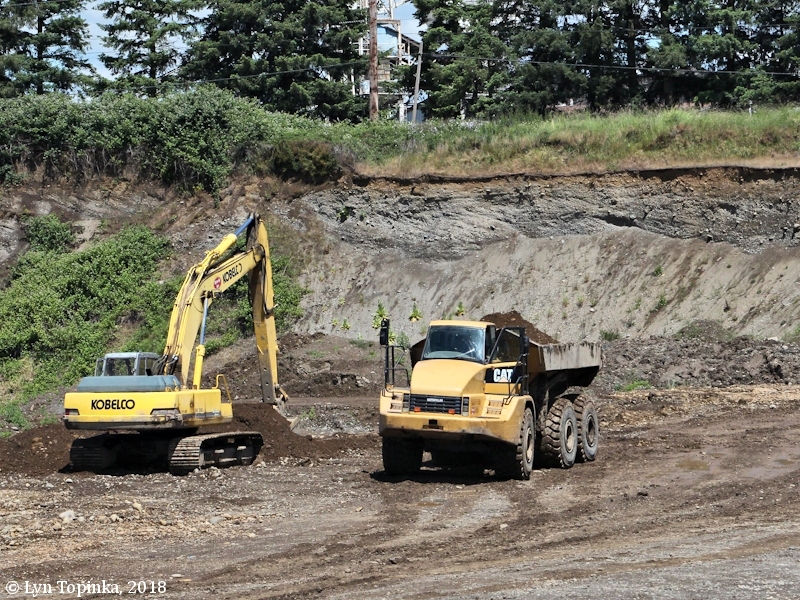 Click image to enlarge Sand and gravel operations, Missoula Flood deposits, Vancouver, Washington. 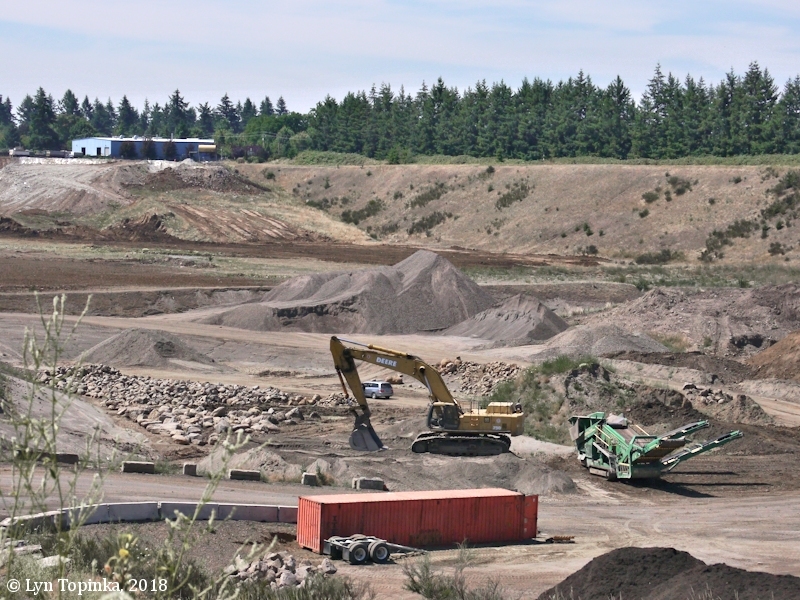 Sand and Gravel pit across from the "Cadman, Heidelberg Cement Group, English Plant" location on SE 1st St. between NE 162nd and NE 192nd Ave. 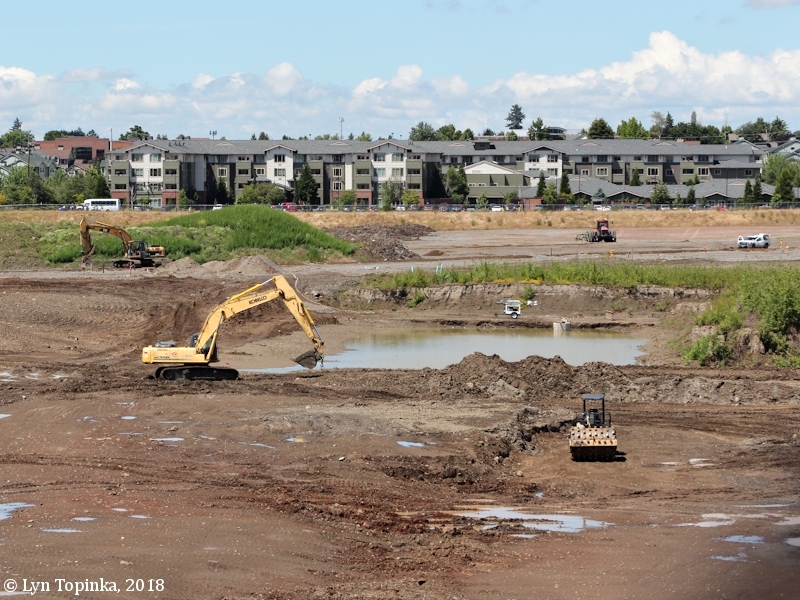 Image taken June 11, 2018. Click image to enlarge Sand and gravel operations, Missoula Flood deposits, Vancouver, Washington. 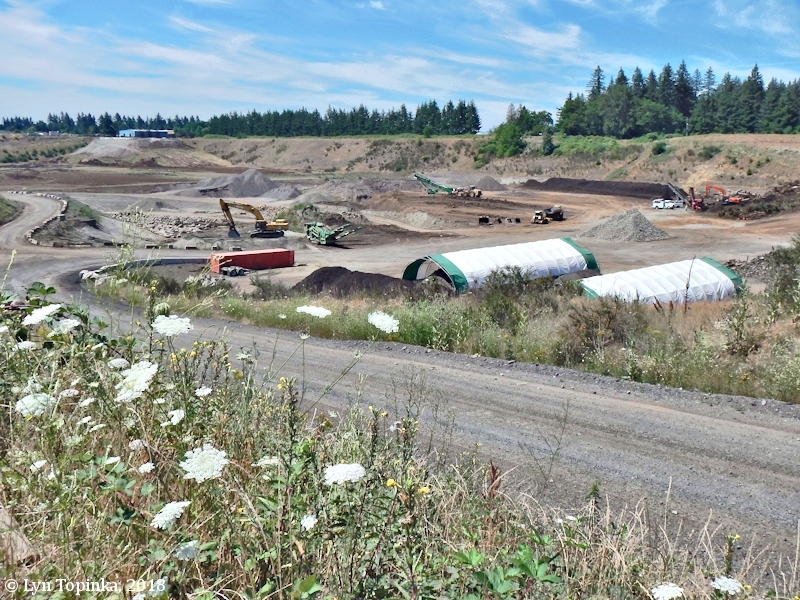 English Pit operations, sign today says "Cadman, Heidelberg Cement Group, English Plant", located on SE 1st St. between NE 162nd and NE 192nd Ave. 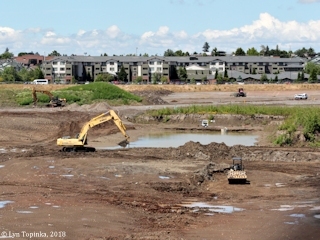 Image taken June 11, 2018. 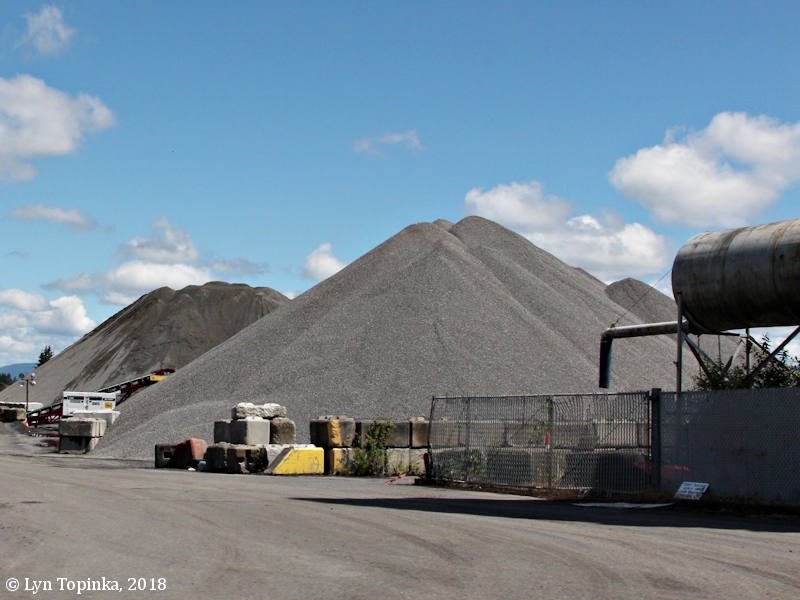 Click image to enlarge Sand and gravel operations, Missoula Flood deposits, Vancouver, Washington. 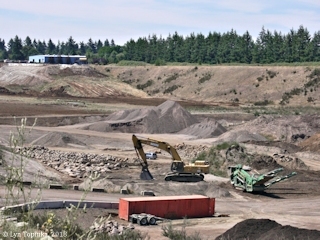 Sand and gravel operations located on SE 18th St. between NE 162nd and NE 192nd Ave. 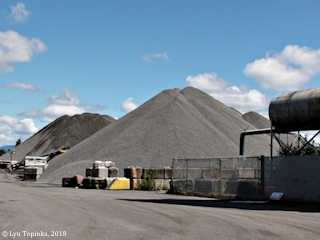 Image taken July 13, 2018.